You have a mailing list, and you can create good quality content. However, you still feel that your emails do not get the expected engagement. You have thought about changing your email templates, and even tested out various writing styles, content types and used catchy images. But have you been paying attention to your email database? Good mailing list hygiene is really important. Unfortunately, it is also quite overlooked. Many email senders want to see big numbers on their lists. More email addresses will surely bring even better results, right? Not really. When we talk about database and mailing lists, we always stress the importance of relevant, good quality data. To maintain proper mailing list hygiene, you need to keep it clean and monitor its quality. Keeping inactive contacts will not demonstrate how successful you are. In fact, it will do more harm than good as emailing to inactive contacts is putting your overall Inbox Placement otherwise known as deliverability, at risk too. If you are ready, it is time to learn about sunsetting. Sunsetting, also called “the sunset policy” and “sunset provision”, is a process of suppressing inactive contacts after a set period of time. Unfortunately, one of the most difficult aspects of email marketing is letting your contacts go. Why is it necessary? 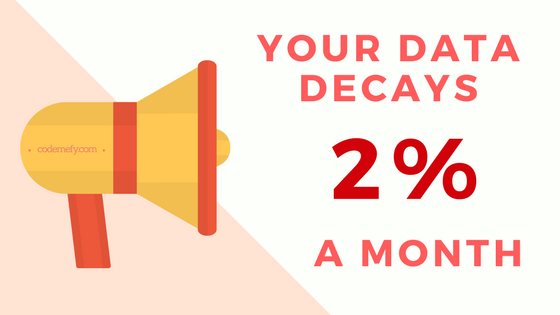 To understand its importance, you need to be aware that typically about 2% of your email database may decay every month. In other words, every year about a fifth of your mailing list might become inactive (for many reasons). Remember, bad email addresses become a risk to your deliverability. Also, after a while, inactive emails can even be turned into spam traps. Thus, regularly suppressing inactive contacts will keep your mailing lists fresh and clean. To help you out, we have identified a few simple steps. Set a time frame after which you will identify your non-engagers. Industry recommendation is six months. If you are a frequent sender, you could go for a shorter period. If you are only sending occasionally, you can set a longer period of time. Review your database and find unengaged contacts after your set time frame passes. Everyone who has not opened your email during that time should be considered as inactive contacts. Inactive contacts now should be removed from your live mailing lists. Different email sending platforms will have different guides on how to suppress contacts from your mailing lists. Ask for their assistance if you are having any doubts. Optional: You can try creating a re-engagement campaign before suppressing the inactive contacts completely. Re-engagement campaigns can help you convert the non-engagers to active contacts again. Make sure you use relevant, interesting and useful content in your emails. If you are running many email marketing campaigns, and send different types of emails, you can be more creative with your list analysis. For example, you can identify your non-engagers for different email types. Maybe one client will never open your newsletter but will read your blog post notifications. Create strong segments by analysing the performance of different categories. You will see an amazing difference when you get to know your audience. However, you still need to suppress all the contacts that did not interact with your re-engagement campaign. 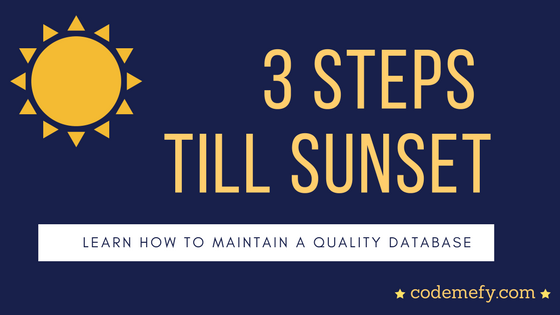 Maintaining your email database quality is one of the essential factors to your email marketing success. Always monitor your mailing lists, and make sure you regularly clean them. Make sunsetting not a one-off practice but a regular hands-on process.